Joe will join Britney Spears on her Femme Fatale Tour in Europe! 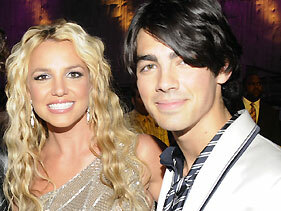 Joe talked to People on joining Britney, "It's a dream come true. She was the first girl I ever had a poster on my wall of, and her album was the first CD I ever bought. It's so funny to think I had that on my wall and here I am about to perform with her.."